Benefits Of Having F2FS On Your Phone? Hey, there today I have come with the guide on How To Activate F2FS ROM On Redmi Note 5 Pro. 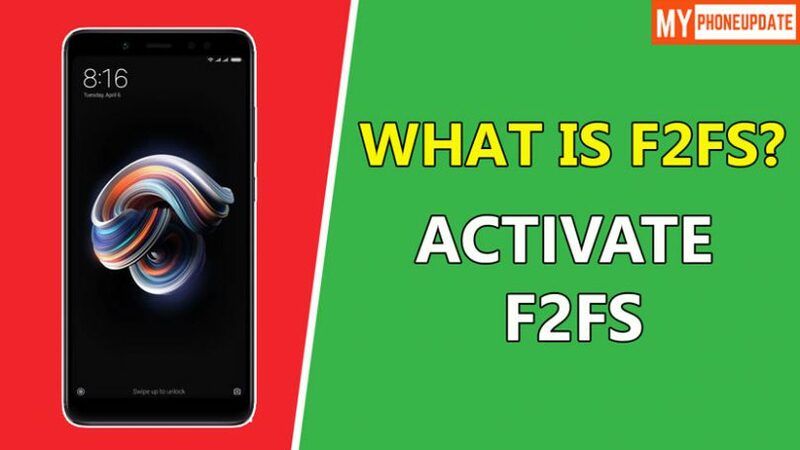 So, with the help of this guide, you can easily be able to Activate F2FS ROM On Redmi Note 5 Pro. You can flash any Custom ROM that supports F2FS files system to your phone. Below I have explained in details about F2FS and the benefits of have F2FS support on your phone. So, make sure to read this complete guide to understand more about this new partition system. Now you may have a question that What is F2FS? Why Do You Need F2FS? F2FS stands for “Flash-Friendly File System”. The F2FS is just a file like a storage partition kind of type. The format of storage which makes your storage a lot faster than the normal like FAT32. F2FS was firstly developed by Samsung Electronic long years back. Samsung has used F2FS on their high ends devices. Basically, it increases the speed of your File/ Data Transfer. So, it is almost 2 times faster than the normal one which you will find on the Redmi Note 5 Pro by default. What happens in the first place, if you flash F2FS ROM on a normal partition then you will be stuck in boot loop. This file system has been used on many phones like Samsung Phones, Pixel Devices. These days a lot of ROM’S are coming for the Redmi Note 5 Pro with F2FS like storage partition capabilities. So, we need to develop a modified TWRP Recovery. Nowadays a lot of ROM’S are supported for F2FS like Pixel Experience ROM, Bootleggers ROM, AOSP ROM, Syberia ROM. NOTE: Your Phone Internal Storage Will Be Wiped Out. So, Make Sure To Take Full Backup Of Your Phone. Step 3. Next Step Is To Connect Your Phone To PC & Copy The ROM Files To Phone Internal Storage. Step 5. Reboot And Setup. Flash Magisk Only After Booting Into System Once. Now If Your Phone Does Not Support F2FS Make Sure To Follow The Guide Shown Below. That’s It 🙂 Reboot To System And Enjoy. Final Words: So, this is it on How To Activate F2FS ROM On Redmi Note 5 Pro. I hope this guide helps you and works for you. If you have any question related to F2FS ROM then make sure to comment down below. We would like to hear from you.